← Happy New Year from Walders World of Sports!!! Aaron Rodgers winning the NFL MVP award isn’t as much of a lock now as it was during the first-half of the season. 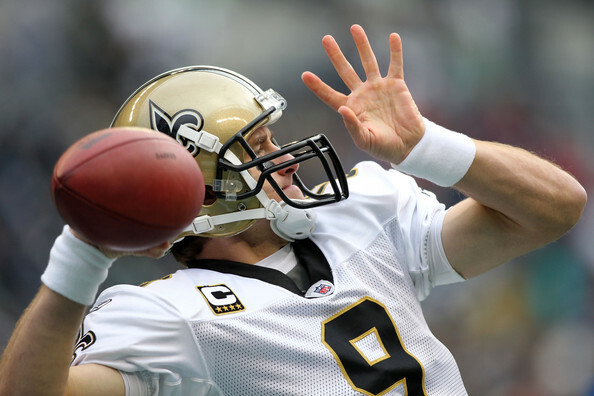 Quarterback Drew Brees has shortened the gap quite a bit with his strong second-half performance, but I still strongly believe that the award is Rodgers to lose. Aaron and the Green Bay Packers finished the regular season with a 15-1 record, which is 2 more wins than Brees and the Saints. Rodgers also won the head-to-head matchup earlier in the season. Drew may have had more passing yards and touchdowns in 2011, but Rodgers was the more efficient quarterback for a majority of the year. His QB rating of 122.1 surpasses Peyton Mannings 2004 rating of 121.1 as the highest in NFL history. His passing numbers aren’t a slouch either. A 45/6 touchdown to interception ratio is outstanding in today’s passing era. Let’s also not underestimate the fact that Green Bay nearly went perfect this year, something that has only been done twice in the history of the league. I wouldn’t be shocked or upset to see Brees take home the honors, but Aaron Rodgers, deservedly so, should be the NFL MVP. Since I low-balled Drew Brees earlier on the MVP award, I think it’s only fair that I give the stellar QB some recognition and award him the offensive player of the year award for 2011. . How could I not give it to the guy who broke Dan Marino’s all-time passing yardage record for a season this year? Brees finished the year with 5476 total passing yards, which is almost a full 400 yards more than what Marino had in 1984. His completion percentage of 71.2% is also an NFL record. 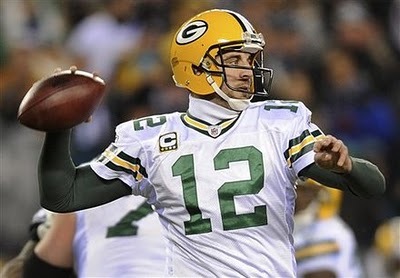 He became the first quarterback in NFL history to throw for 5000 yards in 2 different seasons. He also threw for 5000 yards back in 2008. If Brees doesn’t win the MVP this year, then you can safely bet that he will go home with the offensive player of the year honors. No one may ever come close to putting up the numbers Drew had in 2011. Well, besides Brees himself perhaps. 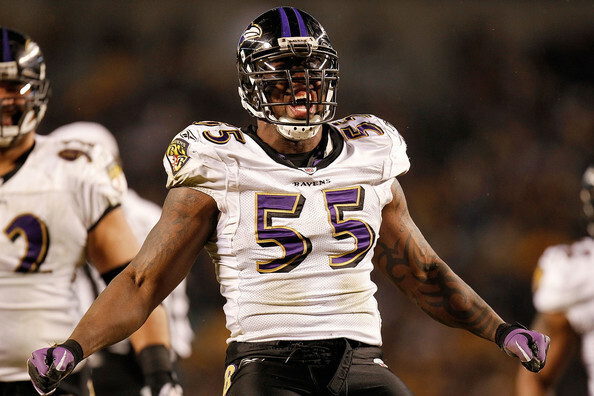 Terrell Suggs is not only the best defensive player in the NFL, but he might also be the scariest as well. That’s quite the praise for a man who plays on the same defense as Ray Lewis. T-Sizzle led the league with 7 forced fumbles this year and tied for fifth overall with 14.0 sacks. He helped keep the Ravens defense a float while Lewis missed time with a toe injury and led Baltimore to the third-ranked defense in the entire league. On the field, Suggs plays with a fire and a passion that seeps through to his teammates. Statistics don’t always show the talent that a player possesses. Other defenders may have had more tackles and sacks in 2011, but I still see Suggs as the best of the best. If you want more evidence as to why Suggs deserves this award, then just watch what he and the Ravens do in the playoffs this year. Besides, how can you not pick a guy who dishes out quotes as good as this? I can now safely put the Cam Newton/Andy Dalton debate to rest. Despite Dalton taking his Bengals to the playoffs this year, Cam Newton will still walk away with the rookie of the year award. 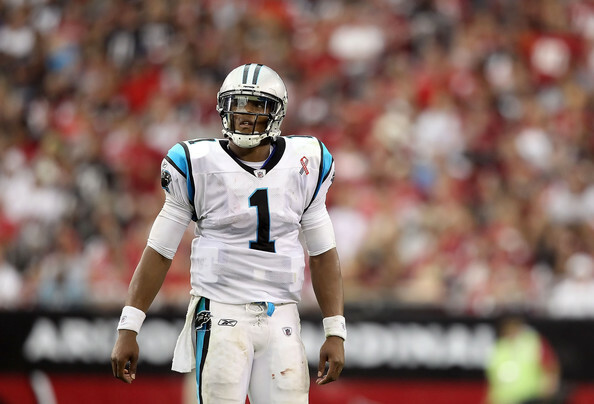 What Dalton did in Cincinnati was outstanding, but what Newton did in Carolina was legendary. Cam set an NFL record for rushing touchdowns by a quarterback with 14, and became the first QB in NFL history to throw for 4000 yards (another rookie record) and run for over 500. He took the bottom-feeding Carolina Panthers and made them relevant again in the National Football League. A 2-14 to 6-10 improvement may not be on par with what San Francisco and Cincinnati did this season, but considering the Panthers offense as a whole was an utter joke before Newton walked through the door, it’s still something to marvel at. Before the Cam Newton era began, Carolina had the 28th ranked offense in the NFL. Now with Newton behind center, they’re in the top 5. I predicted at the start of the year that Cam would have a season similar to the one draft bust JaMarcus Russell had back in 2007. Boy is my face red. If you wanted to flip a coin between rookie linebackers Von Miller and Aldon Smith to select the defensive rookie of the year, I wouldn’t blame you for it. When I wrote my NFL Midseason Awards blog back on Halloween, I thought Von Miller was having the better season of the two up until that point and picked him as my top defensive rookie. Now that I can look at both players complete set of work over the course of an entire season, I have to change my pick. Aldon Smith was tied for fifth in the NFL with 14.0 sacks this year and was one of the anchors of a San Francisco defense that didn’t allow one rushing touchdown for 15 out of a possible 16 games. 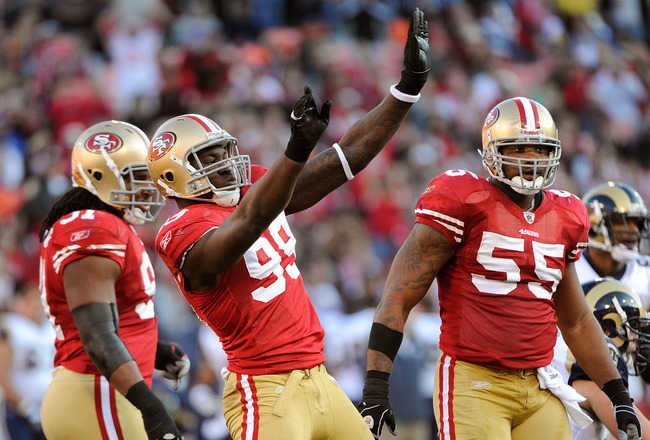 The crazy thing is that Aldon never started a game this year for the 49ers. Von Miller started 15 games for Denver and still couldn’t match Millers sack numbers. Aldon was consistently good for the entire season, while Millers numbers trailed off during the end of the year. Miller has just as much claim to the award as Smith does, but give me the young rookie out of Missouri University as my defensive rookie of the year. I still can’t wrap my mind around the fact that San Francisco won 13 games this season. The team was virtually unchanged from the 2010 roster. Alex Smith was still manning the quarterback position, Frank Gore remained as the aging running back and Michael Crabtree was ready to underachieve as the lead receiver. In comes Jim Harbaugh to save the day, and now we are talking about a team that could realistically win the Super Bowl. His first year in “the city by the bay” has been more than successful. 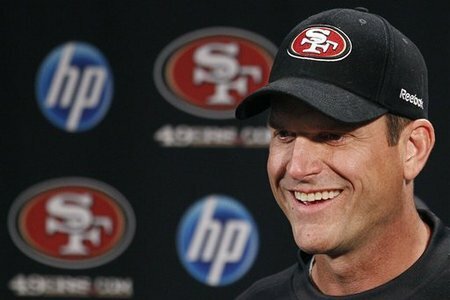 In one season as coach, he has changed the overall philosophy of the 49ers and created one of the more feared defensive squads in the league. He took a quarterback who was hanging on to credibility by a thread and turned him into a steady, consistent NFL starter. He has gotten the absolute best out of his team in 2011, and that’s all you can really ask from a Head Coach in the National Football League. I am one of the biggest New York Giants there is, and even I didn’t know a damn thing about Victor Cruz going into the season. He was ranked 4th on the depth chart to start the year and it wasn’t a given whether or not he was going to see the field in 2011. “Spoiler Alert” Cruz did end up seeing the field…and he saw a lot of it. Cruz “cruised” to 1536 yards receiving which placed him just behind Calvin Johnson and Wes Welker for top spot in the league. His 18.7 yards per catch set a new franchise record for the New York Giants. These numbers are all the more impressive considering the wealth of talent New York has at the position. Hakeem Nicks and Mario Manningham are top-15 receivers in the NFC, but Cruz still finished with more catches, yards and touchdowns than both of them. Rob Gronkowski of the New England Patriots also had himself a newsworthy breakout year in the NFL, having broken every seasonal tight end record there was. But being a starting tight end on a team where Tom Brady was throwing the ball was going to lead to huge success regardless. Nobody could have told you who Victor Cruz was during the first four weeks of the season. 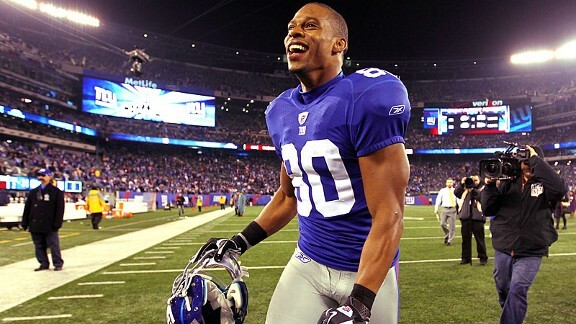 Gronkowski may have the records, but Victor Cruz is still my pick for the biggest individual surprise of 2011. Stats: 587 rushing yards, 3 touchdowns, 3.6 Avg. The Madden Curse has taken another victim. Peyton Hillis joins a long list of players who have had terrible seasons after gracing the cover of the popular video game. 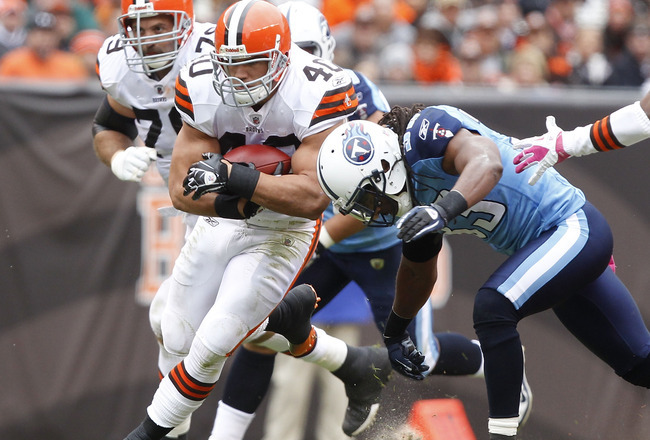 Everything from ankle injuries to good ole strep throat kept Hillis on the sidelines this season. Even when he was on the field, he was just as useless. He ran for 500 less yards, scored 6 less touchdowns, played in 6 less games and caught 40 less passes. For a guy who became the first player to be voted on to the cover of Madden, he sure failed to deliver and live up to that distinction. The entire identity of the Cincinnati Bengals franchise changed going into the season. The team entered 2011 with a new starting quarterback in Andy Dalton and a new star receiver in A.J Green. Success this season was anything but a given. Playing in a division with the Baltimore Ravens and the Pittsburgh Steelers didn’t help matters either. It takes a special kind of player to take a team that was as worse off as the Bengals were and take them to the playoffs in such a short period of time. Dalton and Green were those players. Dalton threw for 3400 yards and 20 touchdowns, with 1050 of those yards and 7 of those touchdowns going to A.J Green. The dynamic duo helped lead the Bengals to a winning record and a spot in the postseason, something that seemed like a pipe dream to start the year. The 49ers improved their win total by 7 games from 2010, but they didn’t have teams the caliber of Baltimore and Pittsburgh to deal with for a quarter of the year. Marvin Lewis was on the hot seat at the end of last season, but now with his new young core of talent, he has his team thinking Super Bowl. I know that it’s probably wrong of me to continuously bash the horrible season Indianapolis had this year, but what’s one more time? Losing Peyton Manning for the entire season doesn’t work as an excuse with me anymore. The Colts have a roster full of Pro Bowl caliber players that should have been more than ready to keep the team competitive in a Manning-less season. Unfortunately, that didn’t really happen this year. 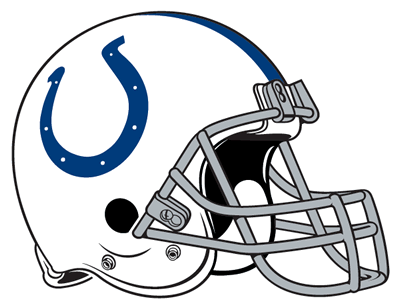 Seeing a team like New England lose their star quarterback back in 2008 and still win 11 games gave me hope that the Colts could perhaps do the same in 2011. I couldn’t have been more wrong. It wasn’t until the end of the season that the Colts would actually win a game. I guess I never realized how important Manning was to this team. To think, with the number one pick in the draft more than likely being used on Andrew Luck, Peyton Manning’s days in Indianapolis may be over. This entry was posted in NFL and tagged 2011, Aaron Rodgers, Cam Newton, Drew Brees, Jim Harbaugh, New England Patriots, NFL, NFL Year-End Awards, Peyton Manning, Rob Gronkowski, San Francisco 49ers, Victor Cruz. Bookmark the permalink.